You know what I LOVE about summer? The cocktails ! 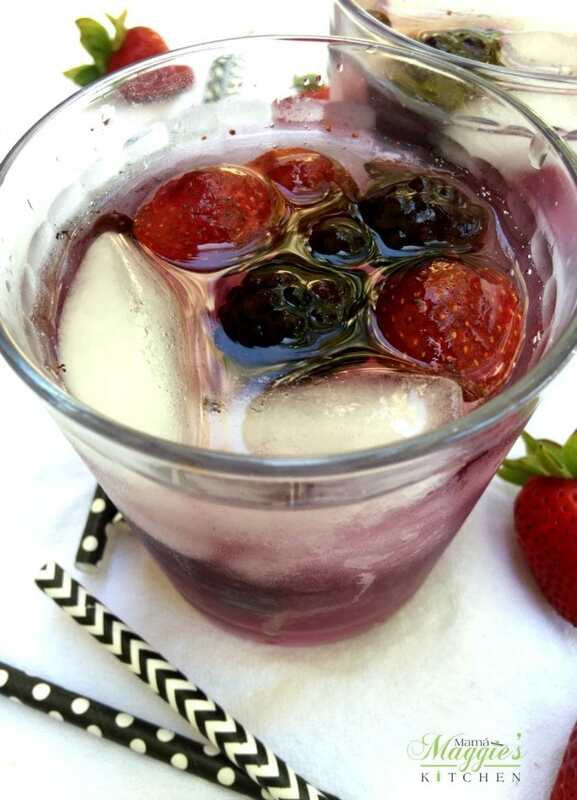 Like this Mixed Berry Sangria, for example. Yum. Yum. YUM! Give me a glass with an ice cold, refreshing adult beverage, and you have one very happy Maggie. I used to be deathly against making drinks with wine. I used to say, why destroy what the winemaker spent hours, days, years to perfect? Now, I think why not elevate perfection to something that’s out of this world good. I highly suggest letting your Mixed Berry Sangria sit in a big container overnight. You want the wine to absorb all the delicious sweetness from the berries. Another thing, the ginger ale must go in right before serving, or you’re going to lose the fizzy fizz that everyone loves. Then, all you need are the party hats, a boom box, and an ironing board 😛 and you got yourself a party. Because you gotta fight for your right to parrrrrr-ty … Whoot! 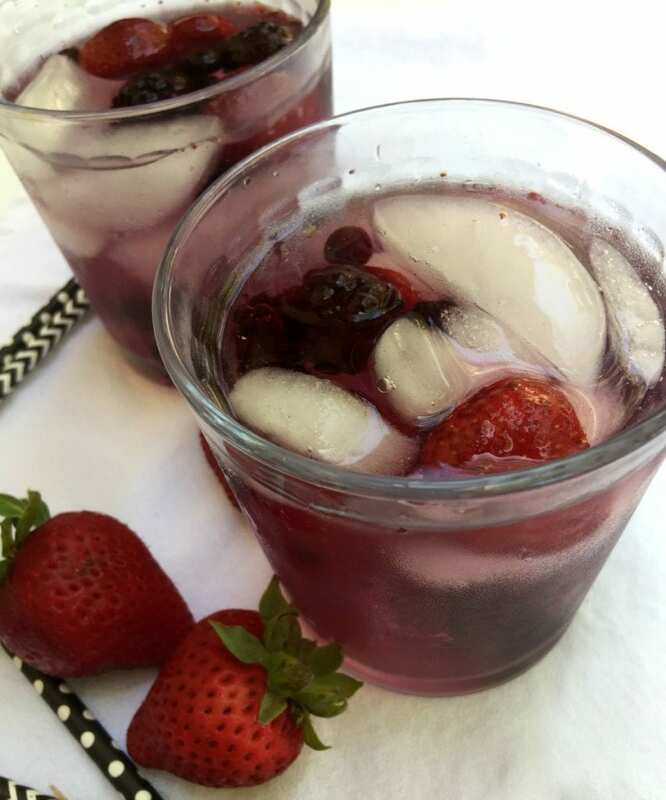 Mixed Berry Sangria - It is the most refreshing cocktail that your friends and party guests will love. Adult drinks just don’t come any better than this! Add your fresh mixed berries to a large pitcher. Place in the fridge overnight (or at least 4 hours). Looks like such a fabulous drink for 4th of July and all summer long! So refreshing – pinned this for later! 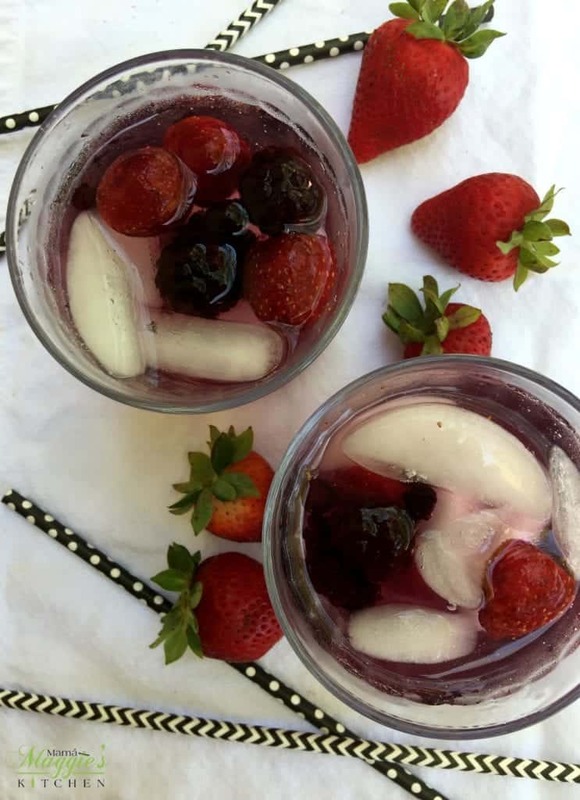 This looks like such a fun and refreshing drink for the 4th of July and all summer long! I pinned this for later! This is making an appearance at my 4th of July BBQ. Hope you like it! Sangria is one of my all time favorites. They looks delicious. I can’t wait to try it. Thanks for sharing. Mmm this looks so good and sounds amazing right now!! Thank you! It’s so good. I will be making this again really soon. Oh yes, this sangria recipe looks wonderful! I love the berries! Thank you for sharing! What a fun & festive variation of Sangria! This looks perfect for this weekend! It screams party, doesn’t it? Can’t wait to make it again in a couple of days. Happy 4th! Sangria is one of my favorites! I can’t wait to try this mixed berry version. You’re going to love it. Enjoy! Yum! This looks like the perfect Summer drink. Love all of the berries! It looks sooo refreshing. Perfect summer drink. I haven’t had sangria in years… I think I have this one today 🙂 Pinning! Have a great weekend Maggie! I love sangria and this one looks so delicious! I can’t wait to try it! I could use a few of these right now. Looks refreshing, Maggie!